Joe Tilson (b. 1928) studied at St Martin’s School of Art, London from 1949 to 1952 and at the Royal College of Art, London from 1952 to 1955 where he received the Rome Prize, taking him to live in Italy in 1955. He returned to London in 1957, and from 1958 to 1963 he taught at St Martin’s School of Art, and subsequently at the Slade School of Fine Art, University College London, Kings College, Newcastle upon Tyne, The School of Visual Arts, New York and the Hochschule fur Bildende Kunste, Hamburg. 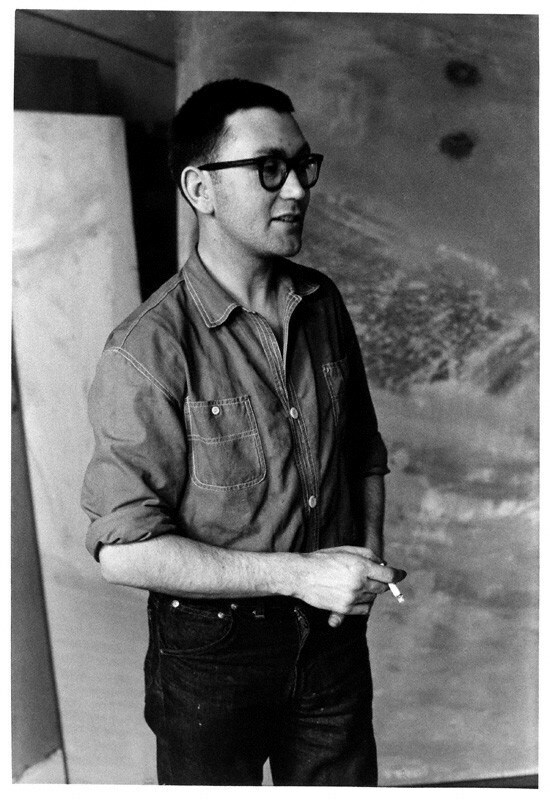 Tilson’s first one-man shows were held at the Marlborough Gallery, London in 1962 and at the Walker Art Gallery, Liverpool in 1963. His work first gained international exposure at the XXXII Venice Biennale, leading to his first retrospective at the Boyman’s Museum, Rotterdam in 1964. Further retrospective exhibitions were held at the Vancouver Art Gallery in 1979 and at the Arnolfini Gallery, Bristol in 1984. He has continued to exhibit regularly in solo shows throughout the world and a major retrospective, ‘Joe Tilson: Pop to Present’ was held at the Royal Academy of Arts, London. Among Tilson’s awards are the Gulbenkian Foundation Prize in 1960 and the Grand Prix d’Honneur, Biennale of Ljubljana in 1996, the year in which he was invited to paint the banner for the Palio, Siena. He was elected Royal Academician in 1991 and lives and works in London and Cortona, Tuscany.